﻿ Alisia Beach Hotel Da Nang (Vietnam) | FROM $27 - SAVE ON AGODA! "This hotel was rated 3.5 stars and inexpensive." 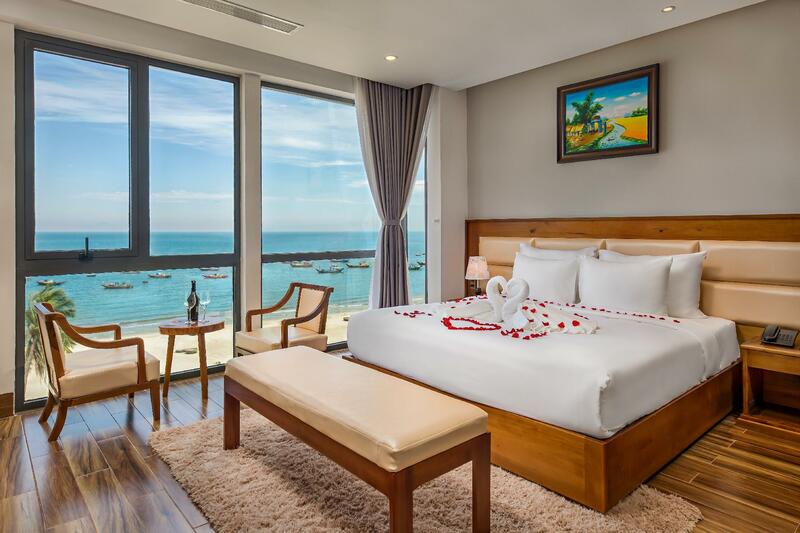 Have a question for Alisia Beach Hotel Da Nang? "Location is good in front of beach." "Hotel was clean and spacious." 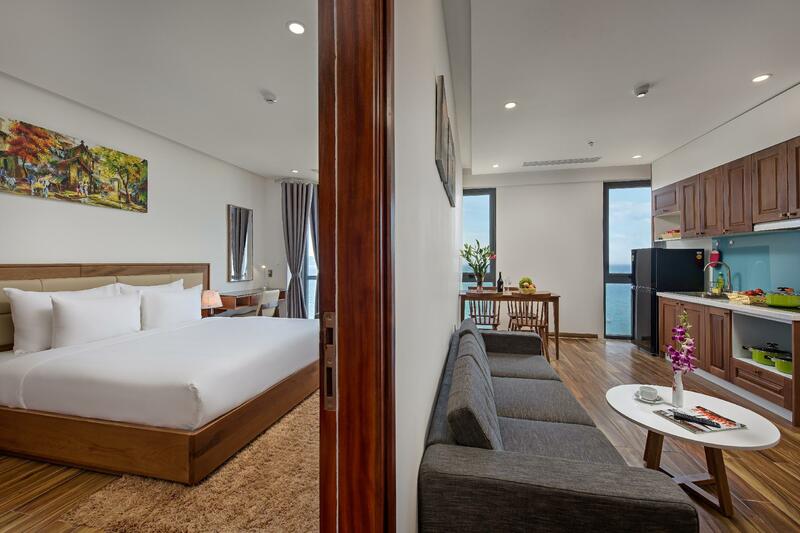 For travelers who want to take in the sights and sounds of Da Nang, Alisia Beach Hotel Da Nang is the perfect choice. From here, guests can make the most of all that the lively city has to offer. With its convenient location, the property offers easy access to the city's must-see destinations. 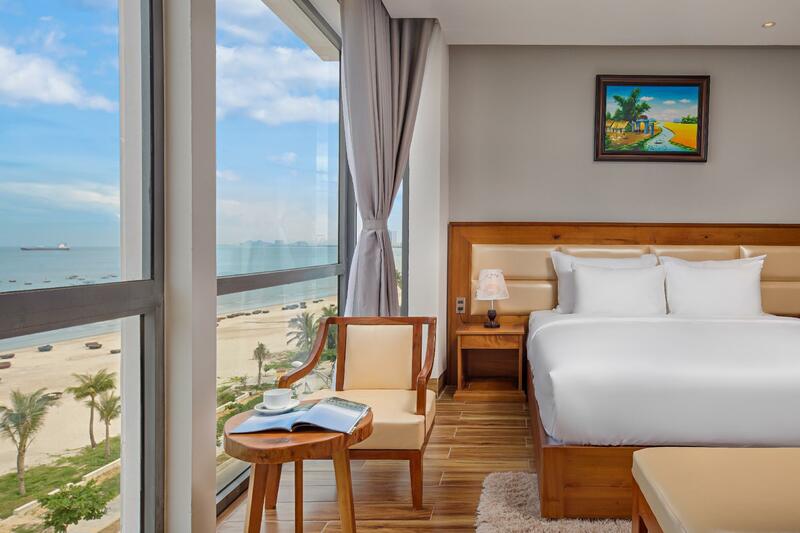 At Alisia Beach Hotel Da Nang, the excellent service and superior facilities make for an unforgettable stay. 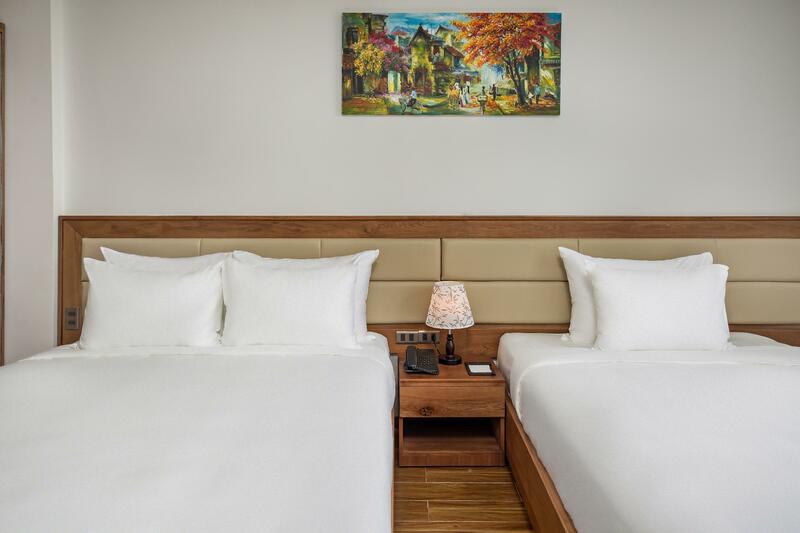 While lodging at this wonderful property, guests can enjoy free Wi-Fi in all rooms, 24-hour security, convenience store, daily housekeeping, fireplace. Step into one of 70 inviting rooms and escape the stresses of the day, A selection of amenities can be found in most rooms, inlcuding complimentary tea, towels, fireplace, wooden/parqueted flooring, slippers. Whether you're a fitness enthusiast or are just looking for a way to unwind after a hard day, you will be entertained by recreational facilities such as fitness center, outdoor pool, pool (kids). 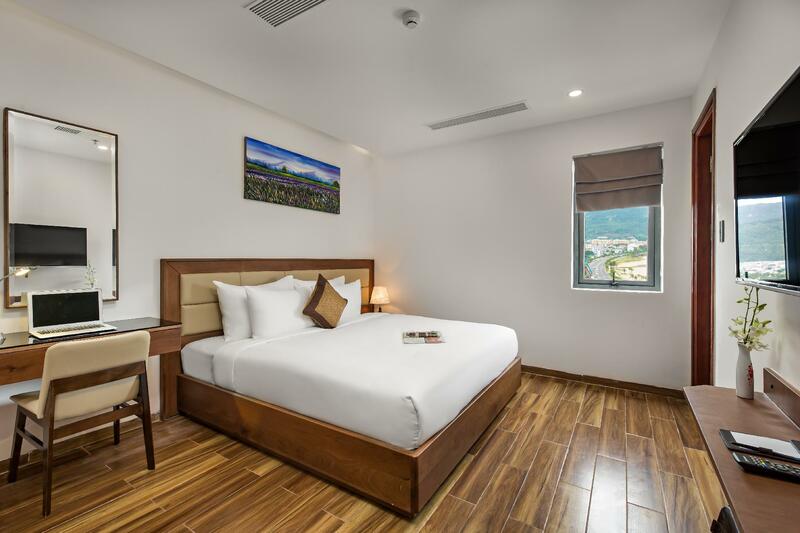 Whatever your purpose of visit, Alisia Beach Hotel Da Nang is an excellent choice for your stay in Da Nang. Nice room with perfect sea view, breakfast is good and the staff is super nice and helpful (they speak very good English)!! The only thing is the hot water supply is not very stable but still acceptable. Nice room and good facility. have free bicycle which is great. fantastic sea view. big room. This hotel stands a bit far from the center of Da Nang; however, it's quiet and it's in front of the beach. 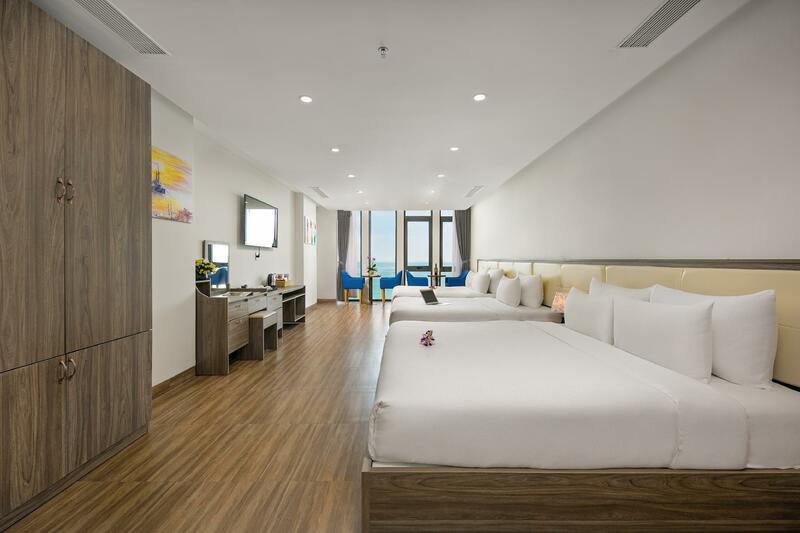 The hotel room is new, clean, large and reasonable price. Seaview room is great. I stayed in Vietnam for 4 nights, and this is our stay last night before going back to our country. The only negative thing is a bit far from the center of the city as I've said. Anyway, I love this hotel very much, and probably will be here again if I come back to Da Nang. Lovely staff make this hotel wonderful. Lots of smiling faces and genuine hospitality. Lovely roof top pool and bar. Nice walk to the lady Buddha. The hotel have free bikes which we used to cycle to the marble mountain, it was nice and flat so an easy ride. Beautiful new hotel with great views from our ocean view room. Would love to stay again. Only negative is that it is a little further down from the main areas of Da Nang. So not many options of restaurants etc. 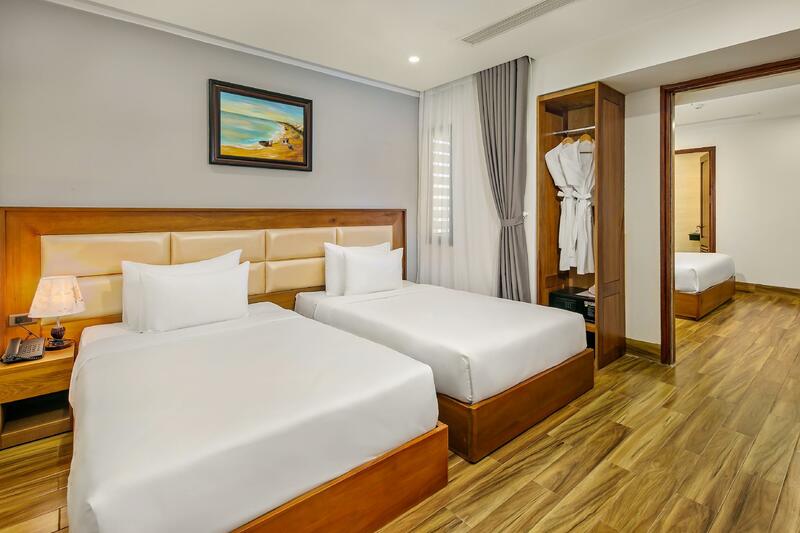 Nice hotel for the price, the location was not the best, since the beach in front of the hotel was not really enlarged and prepared as in other parts of the beach for those who would enjoy mykhe beach. Its literally a lone building standing in the middle of nowhere by the beach. The beach isn't the cleanest but the view was spectacular nonetheless. Hotel was clean and spacious. Pool on the roof was small but nice for such a small hotel. Location a little away from the city center but thats what we wanted. peaceful. It is a nice small hotel near the end of the beach which is less windy than the main beach. Clean and new hotel. Service was great. Bed was really good. Plenty of places to eat nearby. Nice view from the rooftop pool. The staff try hard to make your visit special. I would definitely stay there again. Had an amazing stay here at Alisia Hotel. It is directly across from the beach. This is a great place for travelers to relax next to a quieter beach and enjoy views of the city from the rooftop bar/pool. Rooms exceeded my expectations being how clean and organize it was. Staff was really helpful with recommendations. 100% recommended for travelers! We stayed here in vip room for two nights. And we had such a great time there. The room was for 6 people max. The view from the room and rooftop was gorgeous. The room was nice and clean. Breakfast was buffet. But the hotel is quite far from everything. There were not so many places to eat out. But Grab is always there so that’s not a problem for us. They completely made up on Agoda and their website that they have a private beach, gym and spa - none of which was true. They were unhelpful when I confronted them about it. Staff were slow by the pool to sort towels and beds. Best staff was at the breakfast buffet. Although the food leaves much to be desired. For how cheap it was, it did the job. Room was fairly good however there was a lot of noise from other guests and cleaning staff early in the mornings. They even had someone plastering the hallway at 8am which was very loud and annoying. The location is out of the hustle and bustle. Look for alternative options. We came because the reviews from previous travelers mostly positive. We just came back from a trip in Cambodia where we were staying at 4 to 5 stars hotels. This hotel was rated 3.5 stars and inexpensive. We booked it at the last minute and thinking let's give it a try not expecting very much. We stayed there for 3 nights and very much got our money worth. 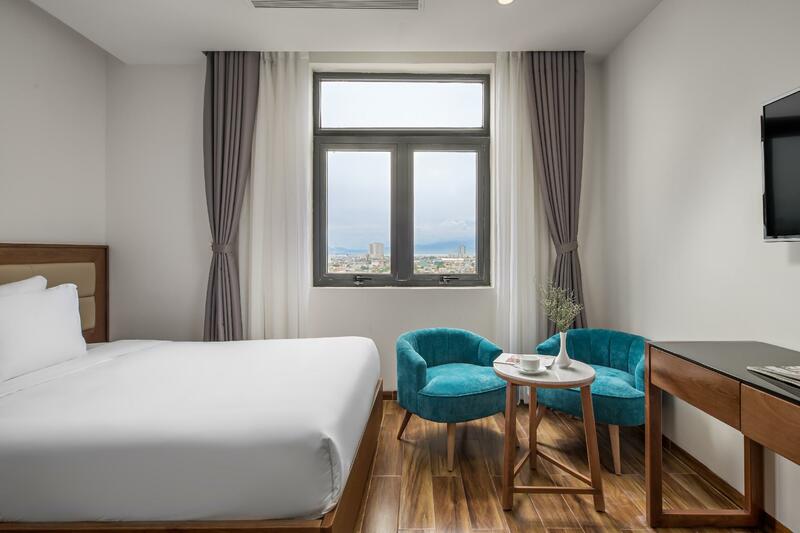 Here is our personal ratings for this hotel: Cleanliness - 5 stars, Services - 5 stars, Location - 5 stars, Highly recommended especially the staff very nice and sincere with their services. Special Thanks to Mr VAN whom we met in the breakfast room and learn that he is the Manager.. Very Kind and Tentative to staying guests. (+) A wonderful stay in Alisia Beach Hotel! Nice room and view at reasonable price, far from the crowd so no need to worry about noises. Staffs are helpful and nice, they will help us to communicate with local drivers. It will be cheaper if booking a Grab through them. (-) The address located in Google/ Grab map is different from the exact location. So need to beware of it every time when taking grab/ taxi. Friendly, helpful staff, great view, fine breakfast. We were so lucky to have an upgrade to a family suite with sea view. It was an awesome sea view room. It has two separate bed rooms and attached bathrooms and a living room with kitchen and refrigerator. We stayed there for two days and was amazed with the service. Breakfast was also good.